Based on the data provided by the National Safety Council, over 8 million people account for slip and fall accidents and most of these happen at home than anywhere else. The risk of it happening at home is higher compared to work or even driving on the road. As an owner of a rental property in Naples, you want to make sure you and your properties are protected against these threats especially now that the weather is turning cold. Because winter increases the risk of slips and falls, make sure that you complete few basic but essential maintenance tasks designed to reduce slip and fall accidents at your rental property specifically. On top of all responsibilities and duties that come with owning a property, making sure that proper maintenance of exterior and interior walkways in a rental home is vital to avoiding slip- and fall-related injuries. Rental properties need to be checked to ensure that walkways and hallways are free of clutter, debris, leaks, runoff, and other obstacles. Another important item to check is flooring and carpets, which should always be properly maintained and repaired as needed. Loose fibers, broken tile, peeling laminate flooring, and loose or missing handrails can all lead to serious injuries. While doing regular checkups of your property, be sure to keep walkways clear of leaf debris, ice, and other problematic items. The exterior should be checked regularly to ensure that tenants are not storing objects in a manner that may obstruct walkways and present a hazard. Uneven surfaces should be addressed as quickly as possible, mainly if ice is existing. 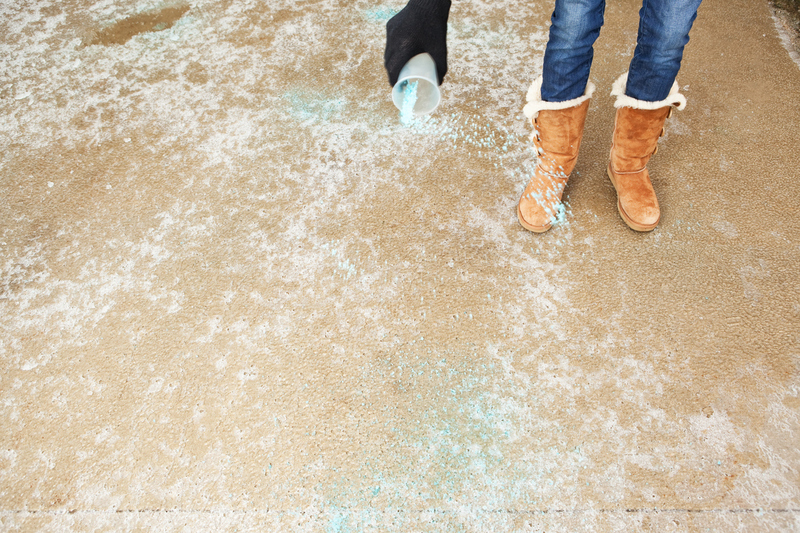 Chemical ice melt products should be used on steps and other high-traffic areas to ensure firm footing in freezing conditions. As a busy property owner in Naples, it can be problematic to make everyday safety a top priority. Safe hallways and walkways are significant, but to remember to monitor your properties both inside and out for hazardous conditions can be difficult when more pressing matters arise. The good news is, there is a way to get the job done quickly and correctly so you can stop worrying about slip and fall injuries forever. Just call Real Property Management Rental Direction! We will inspect your properties for you and take any needed action required to guarantee that each of your rental homes is as safe as it can be. For more information, contact us online or call us at 239-747-0681.